Positive Creations: Art of Imagination Group show in Montreal! 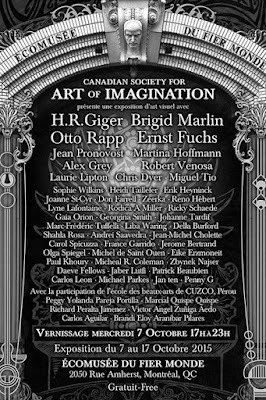 Art of Imagination Group show in Montreal! 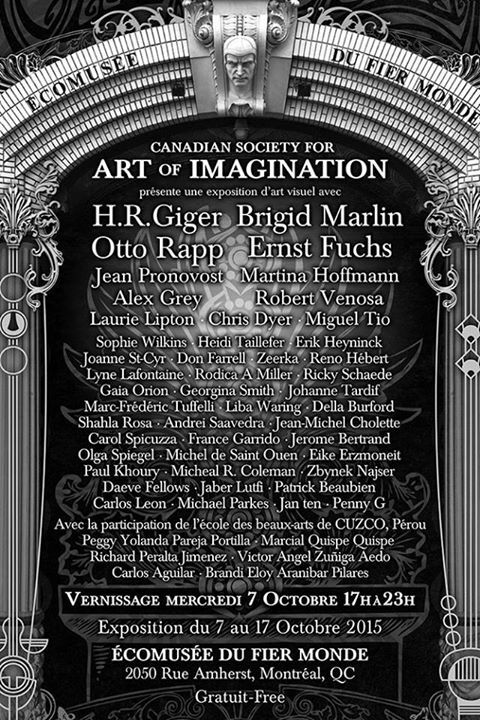 There are not many Visionary Art shows in Montreal, so I am always stoked when these happen. The Society for Art of Imagination is a groups from England that I've been part of for some years. This is their first group show in my own city and Im stoked its in a museum, only a few blocks from where I live.Aweosme artists are part of this show, including Giger, Venosa and Grey, so dont miss out!! More info HERE.